Candidate should be B. Sc. 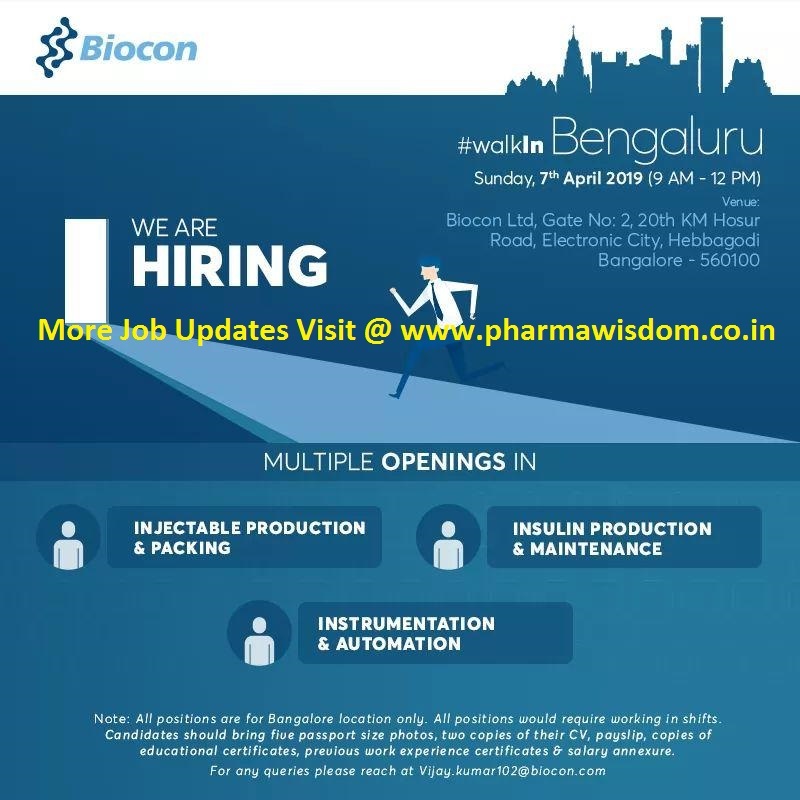 / B. Pharm / M. Sc with 3-7 years of experience in Injectables Production – small volume parenteral (vial & PFS - Dispensing, sterile and non-sterile area) and should have regulatory audits exposure. Should have hands-on experience in Injectables operations like Compounding, formulation, Autoclave, Filling, Sealing and Lyophylizer.